Presidents of U.S. and Russia, Barack Obama and Vladimir Putin, congratulated Azerbaijan’s President Ilham Aliyev on the Republic Day Azerbaijan celebrates on May 28. In his congratulatory message, Obama reaffirmed Washington’s support to the Karabakh conflict’s resolution. The congratulatory message from the Russian leadership says Moscow is seeking to maintain the ceasefire fire in the Karabakh conflict zone. At first sight, U.S. and Russia have a common stance on the Armenian-Azerbaijani conflict. However, the two superpowers have only one common geopolitical goal in that issue – to prevent a bigger war. Otherwise, this conflict may grow into a global confrontation involving Turkey, Iran, Israel and Russia. Such prospects are not within the interest of Washington, indeed. Russia has been the most active co-chair of the OSCE Minsk Group, the tripartite mediating body in the Karabakh peace process, recently. Thanks to Russia’s efforts, after “the four-day war,” during which Azerbaijan managed to take a number of strategic heights from the adversary in the north and south of Karabakh, a ceasefire arrangement was made in Moscow on April 5. It was not for nothing that on April 4 all the international organizations at once addressed Azerbaijan and Armenia calling them for ceasefire, the Azerbaijani president’s aide for public and political issues, Ali Hasanov, told ANS TV yesterday. “We received messages from the UN Security Council member-countries. The OSCE MG co-chair-countries also demanded us to cease the fire immediately. Of course, they have the right to do it, as the international law requires settlement of all the conflicts through peace methods. That is why Azerbaijan had to stop the military actions. And President of Russia Vladimir Putin’s role was pivotal in that,” Hasanov said. He believes that that the OSCE MG co-chairs are sure that the status quo cannot last forever, therefore, the Karabakh conflict will be discussed more dynamically and a solution will be found to it. “Frequent meetings do not settle the problem. It is important for the co-chair countries to demonstrate their will decisively. What do I mean speaking about will? It is necessary to exert pressure on Armenia. The Armenian side must be made to take the peace talks seriously,” the Azerbaijani president’s aide said. Meantime, some experts show a cautious optimism to the outcome of the Vienna meeting of the Azerbaijani and Armenian presidents. They say the meeting was not a breakthrough, but it was not a diplomatic failure either. Each party received what it expected to, though not in full. Armenia has achieved that new mechanisms of strengthening the ceasefire and inquiring into the incidents are introduced. This was reflected in the statement of the mediators. 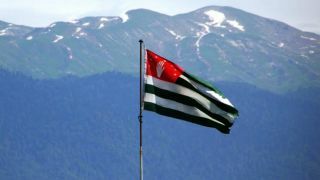 Azerbaijan sought to discuss the political settlement implying de-occupation of the territories, and that issue was also reflected in the statement. Eldar Namazov, a former aide of Azerbaijani President Heydar Aliyev, now the head of the Center for National and International Studies, says the introduction of mechanisms to inquire into the incidents on the frontline implies an increase in the number of observers and their equipment with relevant technical devices. He is sure that this process will require certain time and, therefore, it will be probably synchronized with the start of the talks on the political settlement of the conflict. Talking to Yeni Musavat newspaper, Namazov said Azerbaijan has never opposed the investigation of incidents caused by the ceasefire violations, but Baku believed that Armenia must not use that issue to freeze the conflict and avoid discussing de-occupation of the territories. The expert believes that the military actions earlier in April has changed the status quo and proved that the unresolved conflict may spiral into a large-scale war at any moment. The mediators are concerned over this and had to intensify the diplomatic efforts. “Since the sides have diametrically opposed and irreconcilable positions, they are not able to reach any agreement on the status of Nagorno-Karabakh in the current situation. 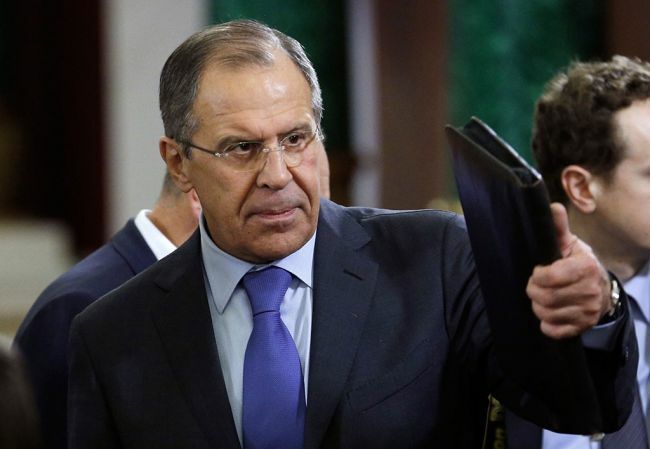 Therefore, the only possible scenario of peaceful settlement is the stage-by-stage process, the one Sergey Lavrov was speaking about,” Namazov said. Perhaps, this is about the so-called “Lavrov’s plan” based on the “Madrid Principles,” which were suggested by the OSCE Minsk Group yet in 2007, and their renovated option – “the Kazan formula.” By all appearances, Baku agrees with Russia’s suggestions with certain reservations. Now, Moscow will probably have to persuade Yerevan to agree with that plan. At the same time, it is difficult to forecast anything so far. The Kremlin was surprised to find out that it has no devoted allies in this region: Georgia even flaunts its westward policy, while Azerbaijan says its only ally is Turkey, and the last hope – Armenia – may make a U-turn at any moment. Moscow has finally understood that despite the permanent support, Armenians have just harbored their dislike towards the Russian authorities and are ready to “egg” them at any moment the way they egged the Russian Embassy in Yerevan. Therefore, in the Karabakh issue, everything will be done cautiously, not to harm, as President Putin has said recently. Three scenarios are possible in the Karabakh conflict’s settlement. One of the scenarios is that the negotiation process will fade away due to unresolvable discrepancies and the situation will be back to the pre-April state of “neither war, no peace.” The second scenario implies that the peace process launched in Vienna will be implemented and the sides will achieve durable peace. By the third scenario, the leadership of Armenia will refuse to return the regions around Nagorno-Karabakh because of internal protests. In such case, Azerbaijan will launch new short-term operations to push forward little by little. As for the large-scale war destructive for both the parties, it is little probable, though it cannot be ruled out either. Actually, the situation in the region is very uneasy and the geopolitical battles will just intensify.